Root Canal Treatment is necessary when bacteria reaches the nerve of the tooth and when a filling is no longer suitable for the problem. 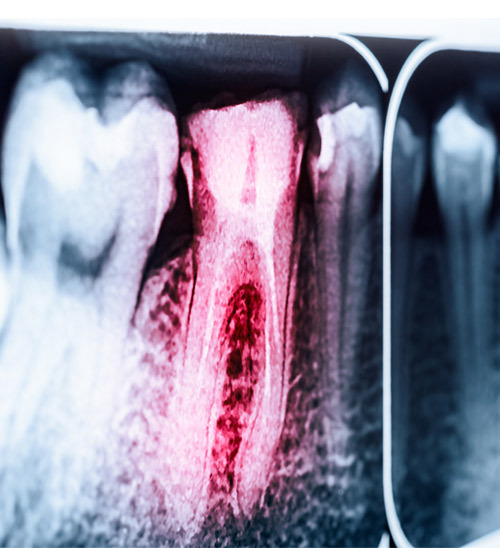 A root canal allows you to keep your tooth while also removing the pain and infection of the tooth. If the tooth is left untreated, then the bacteria can cause pain and infection in the tooth and nerve. During this treatment, the nerve is removed, this generally takes 2-3 appointments.